Paired with your engagement ring or worn alone for a simple matrimony accessory, this wedding band will make the perfect companion. 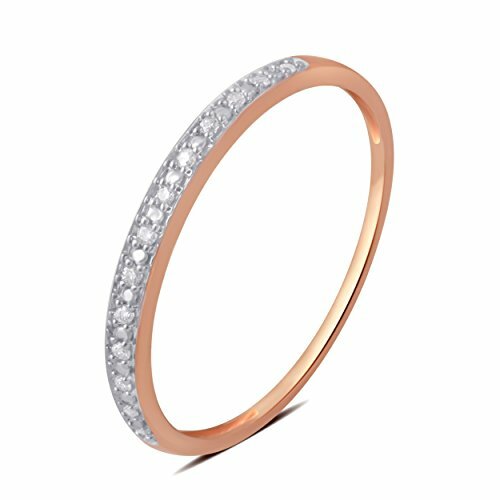 This slim band is offered in rose 10K Rose gold to match any set, and is decked with a row of round-cut diamonds for a shimmering effect. If you have any questions about this product by Brilliant Diamond, contact us by completing and submitting the form below. If you are looking for a specif part number, please include it with your message.